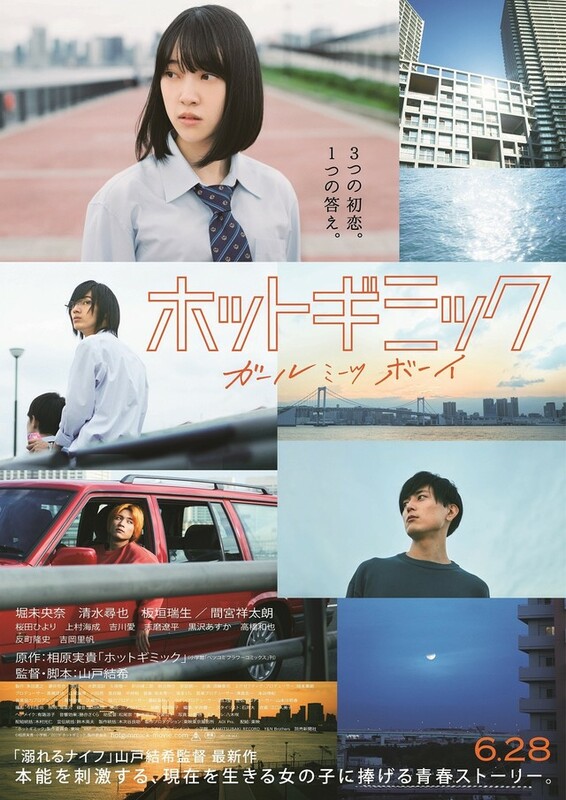 Hatsumi Narita (Miona Hori) is an ordinary high school student. She lives with her nice older brother Shinogu (Shotaro Mamiya), bright younger sister Akane and her parents at a company apartment complex. One day, she lets Ryoki Tachibana (Hiroya Shimizu), who lives in the same apartment building as her, take advantage of her weak point. Since then, she is blackmailed by Ryoki Tachibana into abiding by his wish. Hatsumi Narita's childhood friend Azusa Odagiri (Mizuki Itagaki) moves back to into her neighborhood. Azusa is now a popular model and he seems to care about Hatsumi Narita just like when they were kids. Hatsumi is attracted to Azusa Odagiri. Even though Ryoki Tachibana tries to interfere, Hatsumi Narita and Azusa Odagiri begin to date. Hatsumi Narita is happy, but Azusa Odagiri has secret motives. Based on manga series "Hot Gimmick" by Miki Aihara (published from December, 2000 to August, 2005 in shojo manga magazine Betsucomi). hrtzl Mar 31 2019 7:35 am woah, im actually interested in this movie bc the director is the same one in drowning love. i love that movie. Toyona Nov 11 2018 1:32 am Ughhh....Miki Aihara has issues seriously. Jeongyeon Oct 13 2018 11:36 pm The plot is interesting like the two boys are mean to that girl.Well wish the best for this new drama ..I cant wait ? To be honest, I think both of the guys are rather mean. The girl doesn't deserve to be with any of them. I think I will tune in this for Shotaro Mamiya's portrayal of the brother because he usually plays unique characters, so I wonder how he will play a tassle-free, nice character.